As we all know, the first iPhone was listed in 2007, and the 2017 is the 10 anniversary of the listing of iPhone. iPhone 8 will launch in 2017 and make some changes in appearance and features, which is one of the most anticipated reasons for iPhone 8. I have been using Samsung phone. This time, I think I should make a change. I hope iPhone 8 can be as good as we expected. And my question is, because my Samsung phone has been used for more than a year, the phone have stored a number of contacts. I hope these contacts can be transferred to iPhone 8. However, the two phone operating system is different, how can I solve this problem? 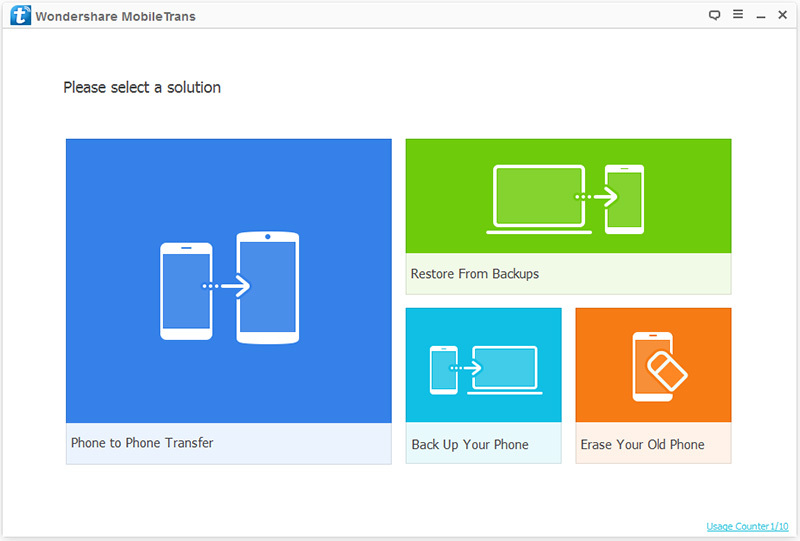 You can use Mobile Transfer, which is well-known as the Android Data to iPhone Transfer. Through the software, you can easily transfer the Samsung phone contacts to iPhone 8. The software can not only help you transfer contacts, you can also transfer photos, music, video, call history, calendar and other data. The software is not only compatible with iPhone, Samsung, but also compatible with HTC, HUAWEI, LG, ZTE, SONY and other mobile phones. 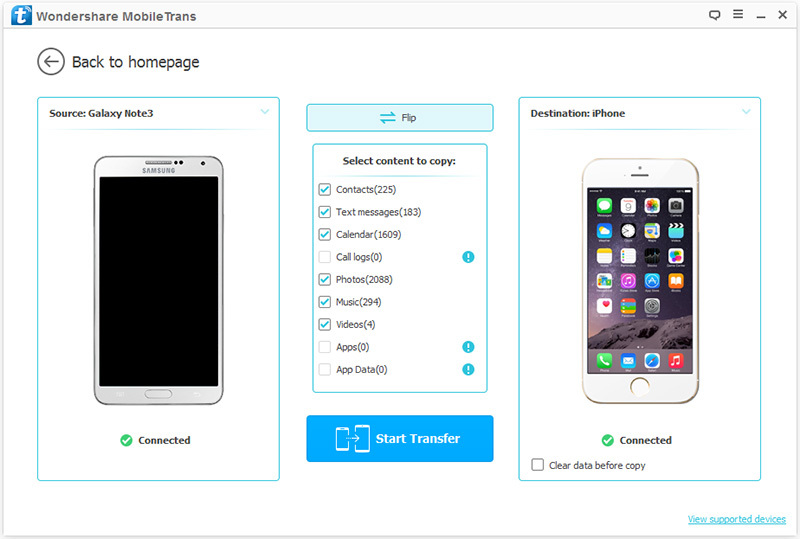 In addition, Mobile Transfer also has a simple method of operation, just three steps you can transfer data from one phone to another phone. Next, we will show you the details of switching contacts from Samsung to iPhone 8. You need to download Mobile Transfer on your computer. Then, install and run it according to the prompts. Next, find "Phone to Phone Transfer" from the main interface and click on "Start". Next, you need to use two USB lines to connect both of your Samsung phone and iPhone 8 to the same computer. When the program is aware of your phone, two of your phones will be displayed on the desktop. You can click on "Flip" to make the Samsung mobile phone display on the left, and the iPhone 8 display on the right. Tips: This may not be able to one pace reachs the designated position, but you can simple pressing the "Filp" to exchange the position of your phones without re-connect your phones again. When your phone are detected, all the transferable data from the source phone will be listed, find the "Contacts" from the options between the two phones, and then check it. Then you need to click "Start Transfer". The contacts will begin moving to iPhone 8 directly, and in this process you need to make sure that the connection between the two phones and the computer is continuous.